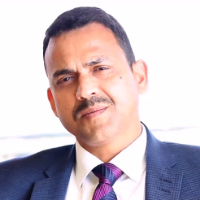 Dinesh Kandwal did his masters in physics and electronics and after that he pursued MBA. He was introduced to this business in 1998 and after that he is successfully building this business from the last 19 years. Multi-level marketing is a strategy that some direct sales companies use to encourage their existing distributors to recruit new distributors by paying the existing distributors a percentage of their recruits' sales; the recruits are known as a distributor's "downline". This market is growing up in India at very fast pace. The company provides the infrastructure and product details. "I have done masters in physics and electronics. After completing my MBA, I was introduced to this business and running this successfully from 1998."